Home » FAQ » What is SR22? If you need information about what is SR22 insurance, we have the answers. Call us or start a quote now. What is SR22? It is a high risk insurance certificate that must be filed for license reinstatement. The certificate is attached to an auto insurance policy or to a non owner insurance policy. As long as you keep the certificate and insurance in force, it allows you to continue driving while your driver’s license is under suspension. What is SR22? To reinstate your suspended license, an SR22 form must be filed by a licensed insurance provider with your state Department of Motor Vehicles . Also called a certificate of insurance or financial responsibility form, it is an attachment (rider, endorsement) to an auto insurance policy. Or, it can be filed with a non-owner insurance policy if you don’t own a car, truck or motorcycle. You can purchase an SR22 certificate with or without ownership of a vehicle. If you don’t own a vehicle, you will purchase non owner SR22 insurance. An SR22 filing is a means for the state Department of Motor Vehicles to monitor your insurance coverage to ensure that you keep it in force at all times during your license suspension period. Most states usually require high risk insurance to be carried for three years without lapse of coverage. If your state has required you to carry SR22 insurance, you may wonder if you could discontinue this coverage if you move to another state. The answer to this question is NO. If you move out of your state, be sure to contact your insurance agent beforehand so they can help you stay properly insured. What is SR22 insurance required for? The most common reasons for having to carry high risk insurance involve motor vehicle violations, such as driving without a valid driver’s license, excessive points against a driver’s record (multiple traffic offenses), driving without liability insurance coverage, driver’s license suspension or a DUI or DWI conviction. This type of insurance can also be required after legal judgments involving non-payment of child support, etc. In Florida and Virginia, reinstating your license after a non-alcohol related suspension requires filing an SR22 certificate with the state. For license reinstatement after an alcohol/drug related suspension you will file an FR44 certificate. For more information about these two forms of financial responsibility filing, see Florida SR22 FR44 and Virginia SR22 FR44 Insurance. In these two states the premiums for FR44 insurance are much higher. UltraCar Insurance specializes in providing high risk insurance in 34 states. We also provide FR44 insurance in Florida and Virginia, Indiana SR50 insurance, Georgia SR22A insurance, motorcycle insurance with an SR22 or FR44 filing – as well as standard auto and motorcycle insurance policies. If you own a business with commercial vehicles, an SR22 filing can also be attached to a commercial auto insurance policy. All of our agents are licensed in the states shown on our website. 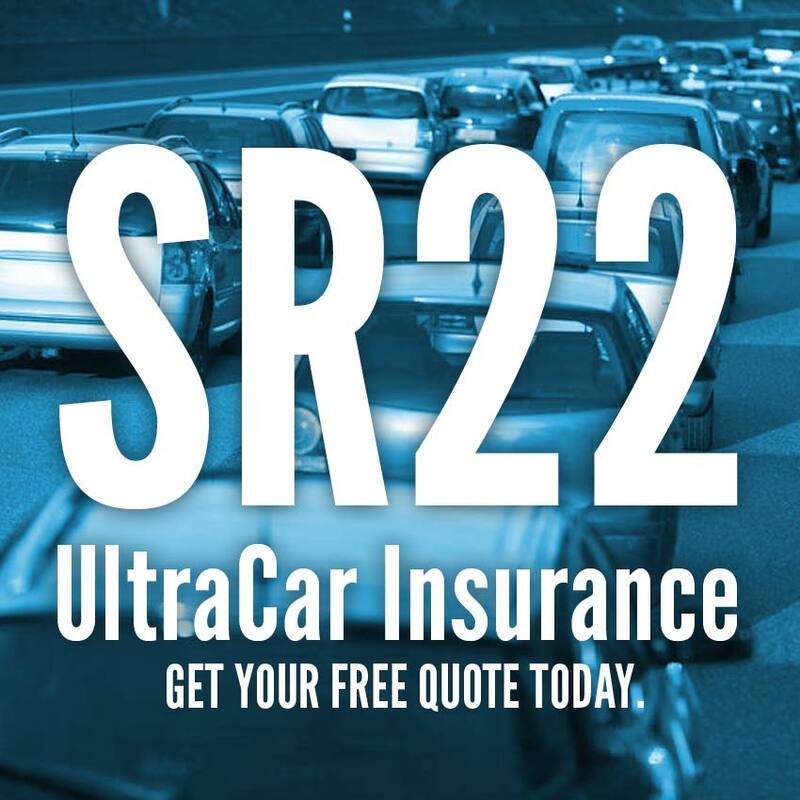 When you need answers about what is SR22 insurance, UltraCar Insurance can help. Talk with an agent today for a competitive SR22 insurance quote.